[L-R Above] The University of Central Florida’s Nicholson School of Communication’s Professor Rick Brunson, Orange County Corrections’ Chief Psychologist Dr. Leonard Branch, journalist and mental health advocate Mark Joyella, President and CEO of the Mental Health Association of Central Florida Candice J. Crawford join Mayor Teresa for Shatter the Stigma on Aug. 24. Orange County Mayor Teresa Jacobs hosted members of the media and advocates from the mental health community at Orange County’s Shatter the Stigma event, a conversation focused on mental health education and compassionate media coverage. Panelists included the President and CEO of the Mental Health Association of Central Florida Candice J. Crawford, Chief Psychologist of Orange County Corrections Department Dr. Leonard Branch, journalist and mental health advocate Mark Joyella and the University of Central Florida’s Nicholson School of Communication Professor Rick Brunson. Sara Brady, Public Awareness and Community Education Committee Chair of the Orange County’s Youth Mental Health Commission, moderated the expert panel. Mayor Jacobs provided the welcome remarks and shared an emotional story recalling her experience in supporting a family member that was diagnosed with bipolar disorder. 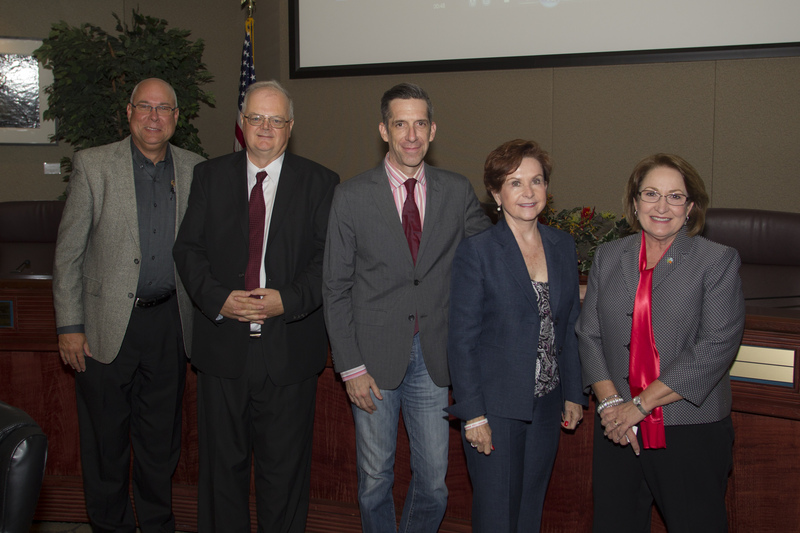 The panelist’s dialogue focused on how Orange County health providers can diffuse the stigma of mental illness. The conversation also touched on how individuals and organizations can create an environment which supports those with mental illness – starting with treating mental illness as they would a physical illness. The speakers also spoke about the common misconceptions associated with mental illness, such as linking mental illness with violence. The panel agreed that there is a severe lack of funding for mental health in the state of Florida. Joyella, a former reporter and anchor for WFTV Channel 9, shared his personal testimony about learning of and treating his Obsessive Compulsive Disorder. Joyella said as a reporter, it was difficult to stand up to the stigma attached to his disease. Brunson and Joyella both spoke about the media’s responsibility to treat mental illness with compassion instead of further stigmatizing these illnesses. At the end of the presentation, audience members engaged with the panelists during a thought-provoking engaging question and answer session. To view photos from Shatter the Stigma, visit Mayor Jacobs’ Flickr album.